Solutions for Retail Brands (S4RB) are specialists working with retail private brands. Most CSR issues, challenges and initiatives require private brand teams to work with their suppliers in order to effect compliance or change. 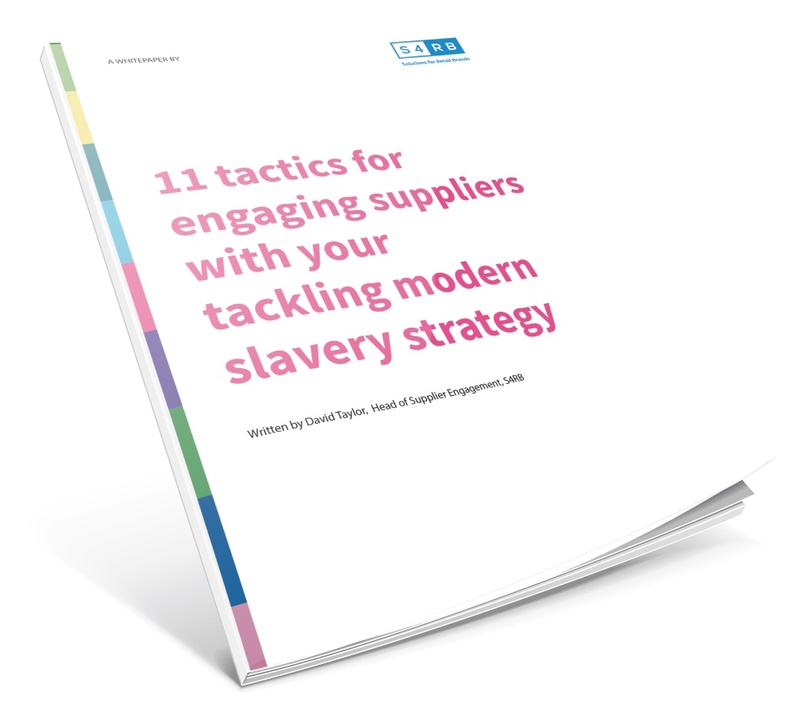 From working with our international clients and with information from multi-stakeholder initiatives such as Stronger Together this white paper is intended provide 11 practical tactics to engage suppliers specifically around the issues of modern slavery.